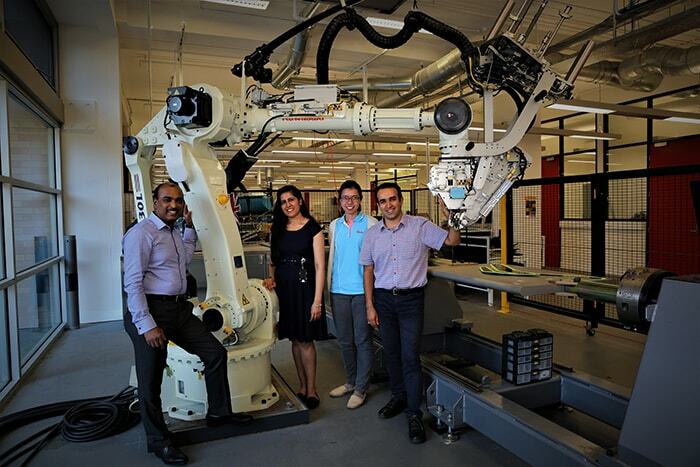 Professor Gangadhara Prusty, from UNSW’s School of Mechanical & Manufacturing Engineering, the centre will use advanced automation technology to position Australian manufacturers as world-class agile producers of high-value advanced composite structures. The centre partners with Australian National University (ANU) led by Professor Paul Compston and the Technical University of Munich led by Professor Drechsler who is Head of the Institute for Carbon Composites. The AMAC centre will incubate the next generation of automated composite manufacturing innovations and innovators to drive future business in a highly collaborative environment. AMAC lowers the barriers for Australian industry to access, engage, adopt and propagate automated composite manufacturing innovations. promote integrated innovation in automated composite manufacture: from material design to product realisation. incorporate key Australian composites innovations into the automated manufacturing process chain. train a generation of composite manufacturing innovators at the frontier of industry-focused research. foster strong collaborations between Australian universities and a host of global organisations which vertically span the composites sector from national research providers to large OEMs. drive growth and productivity in the sector by strategically targeting the translation of commercialisable IP. achieve criticality in advanced composite manufacturing research for a long-term shift in Australia’s R&D capability in the field.